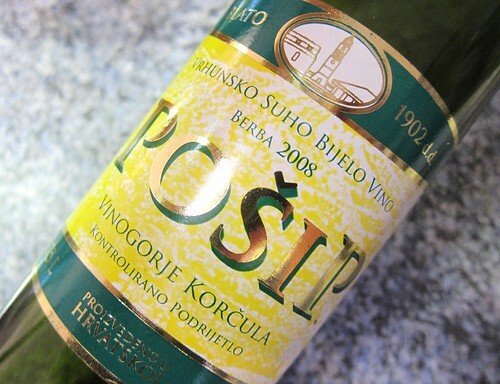 First of all, I seriously enjoyed the few Croatian wines I’ve tried so far, in particular the whites. 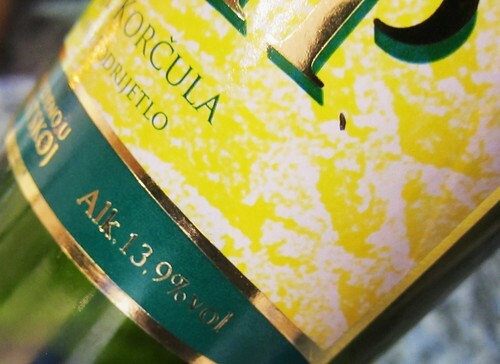 And also this 2008 Korčula Island wine by the Blato 1902 cooperative was a very aromatic specimen, full of character: it is made of the autochton Pošip grape . But for now I actually just wanted to point out the “seriousness” of the label, with an incredibly accurate alcohol declaration that made me smile (see picture below). Well, who knows, maybe it’s mandatory in Croatia and I just made a fool of myself. Anyways, I’m expecting to see a lot more good things coming from Croatia as the wine scene there continues to revive, there seems to be a huge potential. 13,9 % ! I would have guessed it to have 13,75… Gotta practice more I guess. 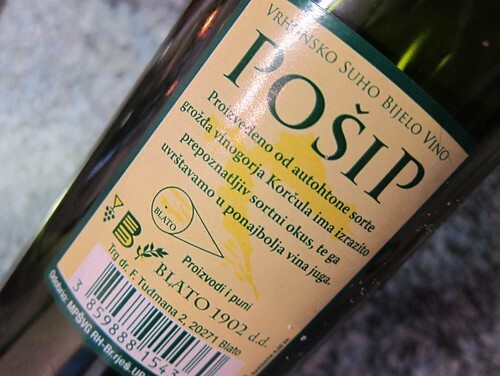 :) Yeap it’s mandatory… along with the font size and many other things… so if you’re a designer in Croatia it’s really hard to be creative with wine labels. Luckily our winemakers produce some creative wines that don’t require much visual promotion. Thanks for your comment, Goran. Somehow I had the feeling it must be mandatory, but it still made me smile and I just had to post this. And you’re right, in the end the important thing is what’s inside the bottle. This one was a nice discovery, too bad I didn’t take any detailed notes on it. Cheers!